While the general consensus about Ruairi Robinson's upcoming sci-fi movie Last Days on Mars is that it treads old, familiar ground (our correspondent's review suggests it very paint by numbers), I must admit I haven't fully given up on the project. I admit I'm mostly holding on via a thin thread but alas, I'm curious. Part of my curiosity comes from the cast which includes Liev Schreiber, Romola Garai and the great Elias Koteas and partly because I'm hopeful Robinson manages to provide something that although familiar, is well executed enough to be worthwhile. Admittedly the first clip from the film doesn't reveal much but it offers up an interesting look at the Tantalus Base which is surprisingly un-techie. It's an interesting approach, one that instantly suggests that Robinson is more interested in storytelling than effects. 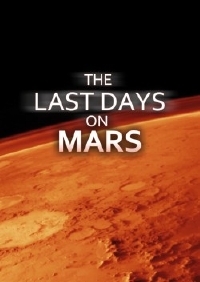 We'll just have to wait and see if Last Days on Mars impresses the masses more than it did our reviewer. Hopefully a release date will emerge in the near future. Kudos to reader Umberto for the heads up on the clip. Some years ago, movies about the Red Planet were popular. Despite the great casts associated with them, they weren't very good (I think mainly because the plots were dreadful) hopefully this film will fix that. I saw it in Cannes and it's poor movie. Actors doing the best they can, but screenplay is weak and schematic.